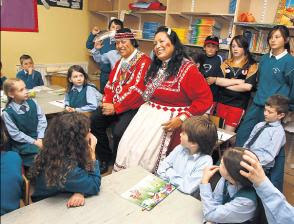 Right: Choctaw Native Americans Gary and Dr Janie Whitedeer visit with students from Gaelscoil Cholmcille in Santry, Co Dublin. In "Indians at home – Indians in Cornwall, Indians in Wales, Indians in Ireland," I talked about how the roots of Western colonialism are very old and how the techniques of colonialism were perfected centuries ago in Europe against Celtic people. Since I wrote that post last August, while going through my files, I found two noteworthy articles on the subject from Race & Class (Vol. 34 No. 4; 1993). They are "The training ground: Ireland, conquest and decolonisation" by Bill Rolston (pp. 13-24) and "Columbus in Ireland" by Milan Rai (pp. 25-34). Rolston argues that as a consequence of Columbus' landfall in the Caribbean in 1492, Ireland experienced a "new era of imperialism with its expropriation of territory, racism and genocide" ("new" as in different from that of the last era). He says the "terrorist methods, derived and perfected in the conquest of Ireland, were then transported to the American colonies" along with "the ideology to justify confiscation and genocide." Even "the same personnel were involved in the conquest of Ireland and America." The second section of the article deals with the fate and role of Irish slaves shipped to the Caribbean. Rai covers much of the same ground but focuses more on tactics and outcomes in sections headed: "War by starvation," "Population decline," and "Settlement, dispossession and 'total war'." Also, in my earlier post, in the "See also" section, I had a link on Choctaw aid in 1847 to Irish famine victims. I should say the mere word "famine" does not do justice in describing the deliberate "policy of extermination"--to quote the Lord Lieutenant of Ireland, the Earl of Clarendon--pursued by the British. Any way, after talking with Peter L. yesterday about this subject, I learned from him that the Choctaw-Irish relationship is ongoing. Below are some links to articles on the subject. "Louisburgh welcomes Native American artists to lead Famine Walk." Mayo Advertiser (Ireland). 6/15/2007. "Remember the Famine? Gaelscoil pupils learn of Choctaw generosity." Independent (Ireland). 5/30/2007. Links to three other articles from the 1990s on the same subject here. Last November, I wrote, On "Victory to the Iraqi Resistance". Recently, I read Public Power in the Age of Empire by Arundhati Roy. In the passage below, Roy speaks eloquently and honestly about the Iraqi resistance and the attitude that people who care about justice should take toward it. All emphasis is mine. A whole industry of development experts, academics, and consultants have built an industry on the back of global social movements in which they are not direct participants. Many of these "experts," who earn their livings studying the struggles of the world's poor, are funded by groups like the Ford Foundation, the World Bank, and wealthy universities such Harvard, Stanford, and Cornell. From a safe distance, they offer us their insightful critiques. 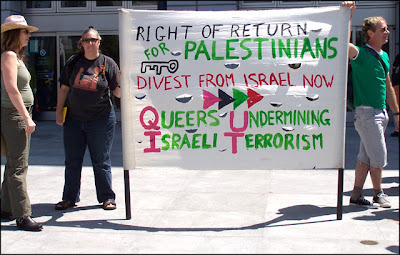 But the same people who tell us that we can reform the World Bank from within, that we change the IMF by working inside it, would not themselves seek to reform a resistance movement by working within it. Emerson was concerned with the tendency to conformity to old ways of thinking (and doing)--the fear of and resistance to change. He was challenging his readers not to be part of the "I've/we've never done it that way before" and the "What will people think?" crowds. While not reckless, doubtless Emerson's "great souls" would reject cheap appeals to pragmatism and conventional thought or so-called common sense. Speaking of anti-war videos, if you haven't already seen it, then have a look at Not Your Soldier. It doesn't exactly epitomize principled nonviolence but it's worth checking out anyway. Freedom is about authority. Freedom is the willingness of every single human being to cede to lawful authority a great deal of discretion about what you do and how you do it. Speech on Crime." New York Times. March 20, 1994. Freedom must be under law or it is not freedom. -R. J. Rushdoony in the Institutes of Biblical Law. 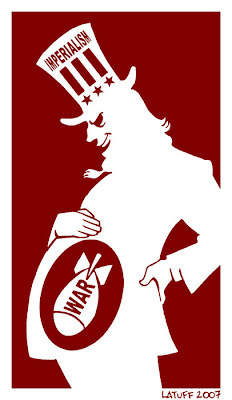 and the War On America by Chris Hedges. Please write, call or email Michael Lumpkin and Matt Westendorf and let them know you disagree with their decision. Michael Lumpkin & Matt Westendorf, Frameline, 145 Ninth Street, #300, San Francisco, CA 94103, 415-703-8650, email info@frameline.org .